The above title is actually in the bio section of Christian blogger, Matt Walsh. But before I get into what that says to people turned off by Christianity, lets take a moment and talk about one of his latest posts in which he minimizes the effects Clinical Depression has on the choices one makes. In this case, he writes of the very recent suicide of Robin Williams. In this post, it appears to me that Mr Walsh believes that major depression really does not have an influence over the choices one makes. In other words, the responsibility of taking one’s life has nothing to do with a person’s mental state. But I can assure Mr Walsh that people are propelled to make many choices in life that have a direct correlation to that persons mental health, that if that person had been in their “right mind” (mentally stable) they would not have made that choice. The tragedy of Robin Williams death brings to light once again the ignorance and stigma that surrounds mental illness. I want to get back to the “sayer of truth” idea for a moment. When a believer states that they possess absolute truth, when they claim to be a “sayer of truth” they appear to most outsiders to the Christian faith as pompous. No one has the corner on “absolute truth”. I don’t, you don’t and Mr Walsh doesn’t. Robin Williams was a victim of his mental illness, in this case, depression. It is a tragedy, a horror, and a great loss. 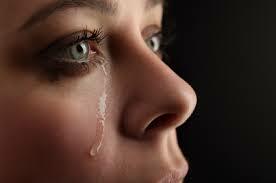 As believers we should be weeping with those who weep and mourning with those who mourn. Not telling people the “truth”. Thank you for visiting and reading, You have written an excellent piece.